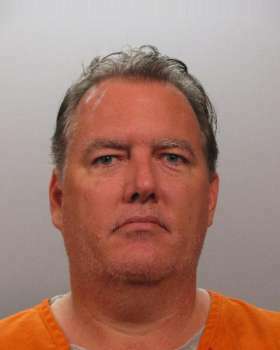 Dunn was previously convicted of several counts of attempted murder and discharging a firearm into an occupied vehicle. The first jury hung on the First Degree Murder count, and jury selection for the retrial has begun today. He is claiming justifiable use of force (self defense). His attorneys attempted to move the case due to the local publicity, but the judge declined to do so. 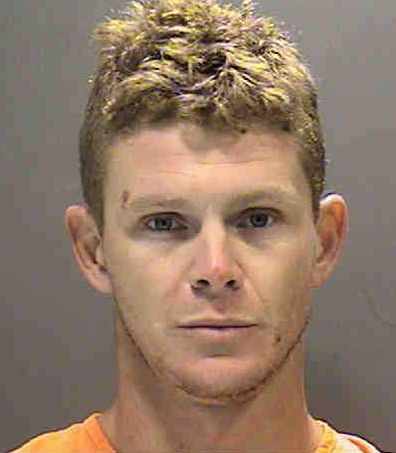 He faces a mandatory life sentence if convicted of the final charge. He already faces a mandatory 60 years combined on the charges fro which he has been convicted, but not yet sentenced, which makes the cost of a retrial seem to be not very cost effective. Keep in mind the first trial cost nearly $100,ooo! 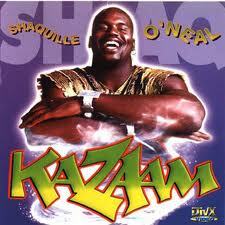 Shaquille O’Neal, former NBA basketball player and move genie, is revisiting his love of law enforcement. He recently got a gig as a reserve officer for the Doral, FL, Police Department. As a reserve officer, O’Neal won’t be paid, or go on any SWAT runs (unlike Chuck Norris… Does Doral PD have an MRAP? ), but he will speak to kids at events and that sort of thing. And he’ll get a uniform and badge, which I am sure is his primary interest in joining up with another police force! I think it’s great that he’s supporting law enforcement, and showing a positive influence for kids in the community. Keep it up, Shaq! The other day it was Batman, and Spider-Man again. You can’t go anywhere without having to worry about a furry fiend! 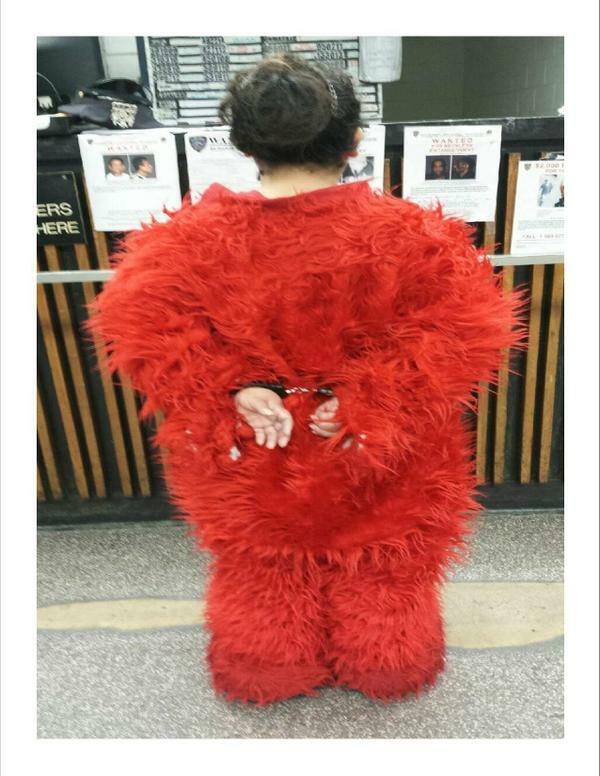 Today Elmo was booked for aggressive solicitation in Times Square. 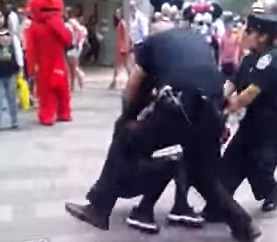 NYPD officers had previously been giving warnings for solicitation cases, but the recent violent encounters seems to have convinced the cops that more aggressive action needs to be taken to prevent out of control characters running amok in Times Square, a major tourist draw. 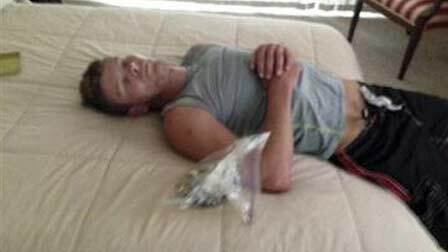 Burglar Caught Sleeping on the Job – Literally! Dion Davis must have worn himself out breaking into a Nokomis, Florida, home. The cleaning lady found him sleeping, next to a bag of jewelry he had looted from the home, and called police. He was still out cold when deputies arrived, and they were able to take a picture of him asleep on the victim’s bed, booty lying next to him. Sounds like he was high, probably on an opiate or other depressant. That’s not going to be a legal defense to the Burglary of a Dwelling and Theft charges he’ll be facing. I recently questioned a local deputy who testified that there were no cameras available for him to take pictures when he was called out to investigate. It’s a shame, he could end up missing out on the best evidence photo, ever. More shenanigans from the Times Square performers in New York City. We covered the story a few weeks back when Spider-Man got in a fight with cops. Now he and Batman got in a fight with a heckler, and all three went to jail. Our costumed crusaders are now facing assault charges. New York City is contemplating making street performers register with the city, before they go out and beat people up. Ya think? Some good news for Friday, the City of Fort Myers is going to outfit all FMPD officers with body cams. The first 40 cameras are arriving, and will be deployed soon on patrol officers. Chief Baker has been vocal and instrumental in pushing for this equipment upgrade, and I support his efforts. I’m a big fan of more cameras. It is for the benefit of everybody… I think there is often pushback from law enforcement, but the cameras really benefit them. If there is a real need to use force, the cameras will demonstrate when they are justified. Conversely, it will catch officers if they break the law, but I think we can all agree that we don’t want officers breaking the law. Much of finding real justice in criminal court is trying to determine what really happened. They call is the the criminal justice system, after all. Cameras are a wonderful tool in discovering the true facts in disputed cases. Cameras collect indisputable evidence. I encourage all of our local law enforcement departments to look into expanded use of cameras for officers in the field. The final verdict has NOT been rendered, but the judge has announced that Pistorius will not be found guilty of murder. I would not be surprised for him to get a lesser charge, but the ultimate decision has yet to be announced. UPDATE: Pistorius Not Guilty of Premeditated Murder, still facing possible Culpable Homicide Charge.